Burl wood handle. Thick Damascus guard and handle cap. Comes with solid leather sheath. 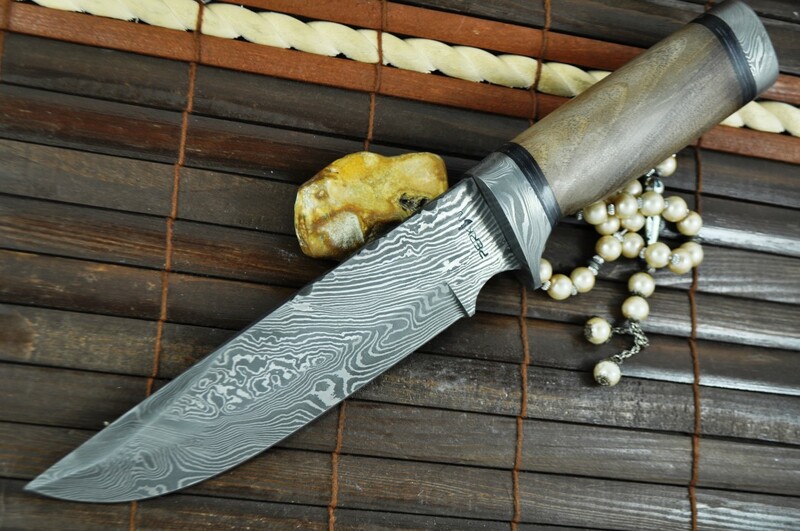 Hunting made easy with this Handmade Damascus Fixed Blade Knife! This durable knife is a great tool for the braves in wilderness and it comes in handy for combating life threatening attacks. This knife has a wide range of applications – only limited to your imagination. The fixed-blade design stands rigid against hard surfaces and offers essential grip in cold, wet, warm and dry conditions. 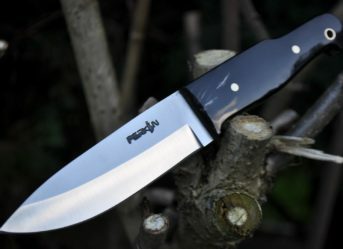 Carry this knife along on your expeditions and you shall never find difficulty skinning flesh or cutting through bushes. 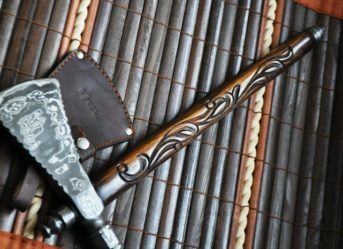 It comes with a solid leather sheath that holds the blade snug to ensure safe storage. 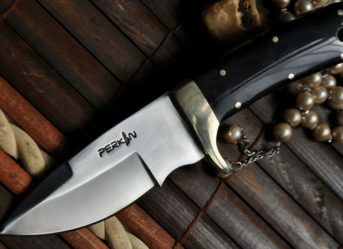 Perkin Knives is a reputed brand that has been selling hunting knives with fixed blade for many years. Offered knives are highly resistant to corrosion. 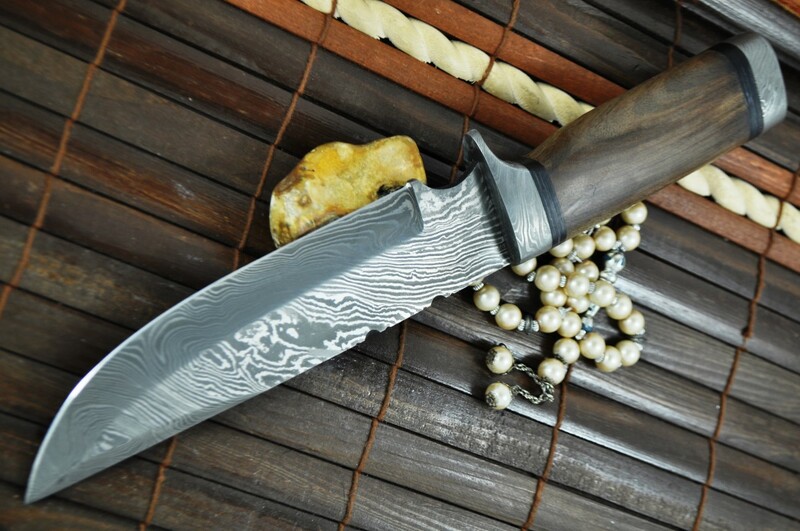 The stout blade, which is razor-sharp at the edges, can easily withstand severe abuse. 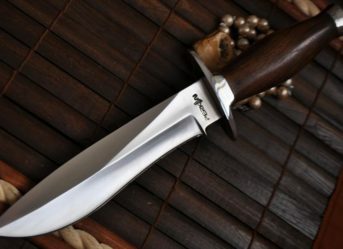 If you are looking for superior grip plus durable blade that can perform well even when the situation is as demanding as it can get, this fixed blade hunting knife can be your best bet. We accept orders online from across the UK and offer express delivery that comes as standard. 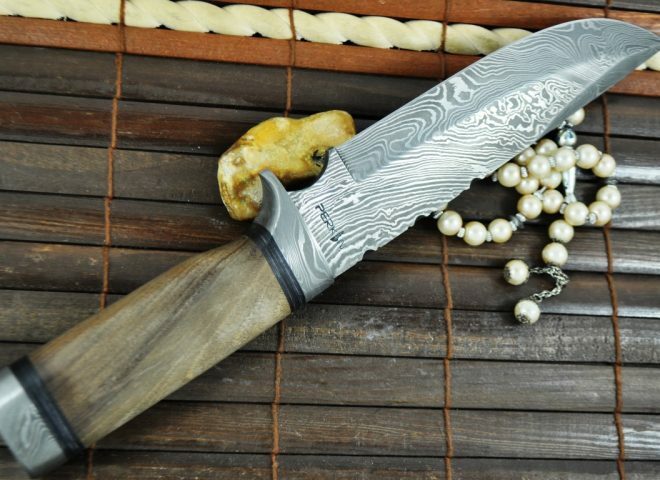 The Damascus is beautiful and the sheath is of fantastic quality. I found no issues or faults and it’s absolutely perfect.